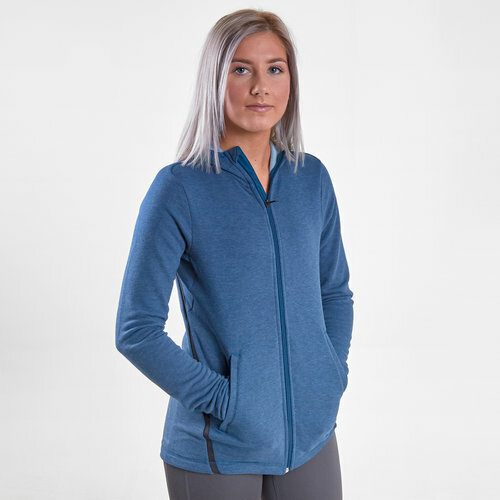 Worn pre or post workout or when you hit the streets this adidas Prime Ladies Full Zip Hooded Sweat in Legend Marine and Legend Ivy won't look out of place anywhere. Work hard and feel good with the adidas Prime Full Zip Hoody. Crafted using lightweight material, this piece is perfect for your next workout. The hoody is finished with a full zip fastening and comes equipped with Climalite technology.